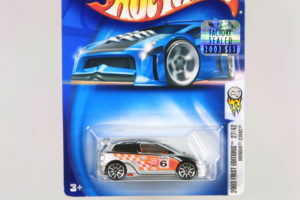 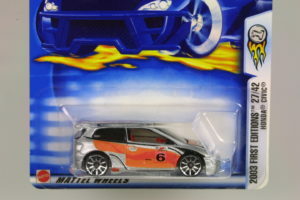 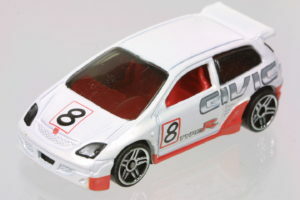 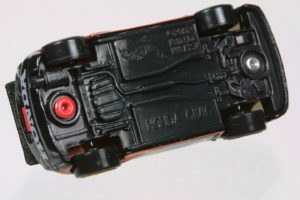 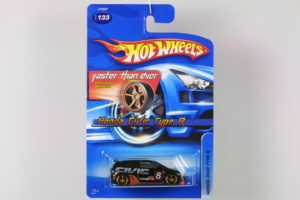 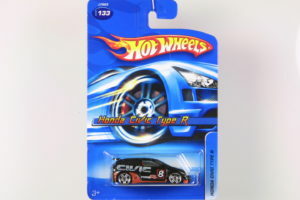 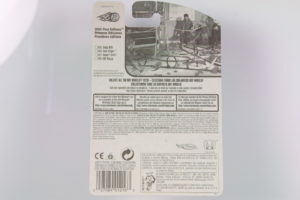 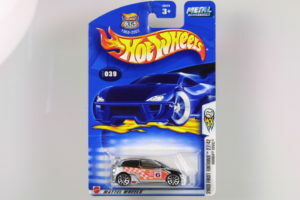 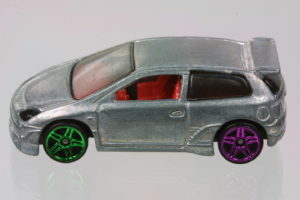 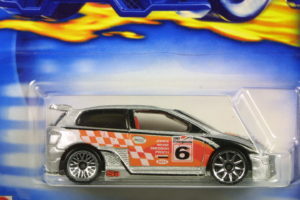 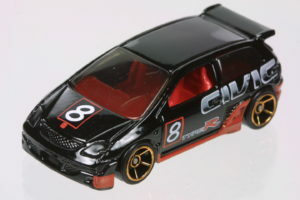 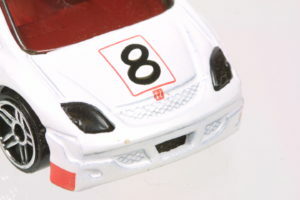 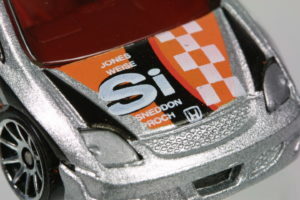 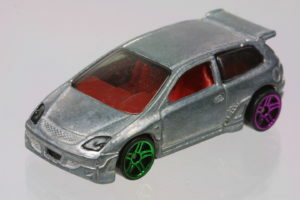 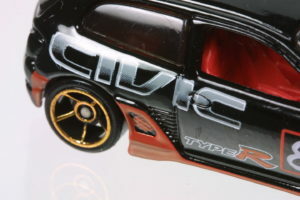 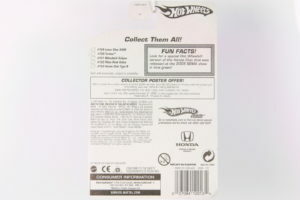 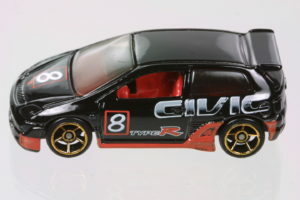 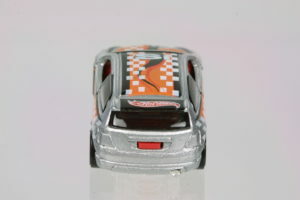 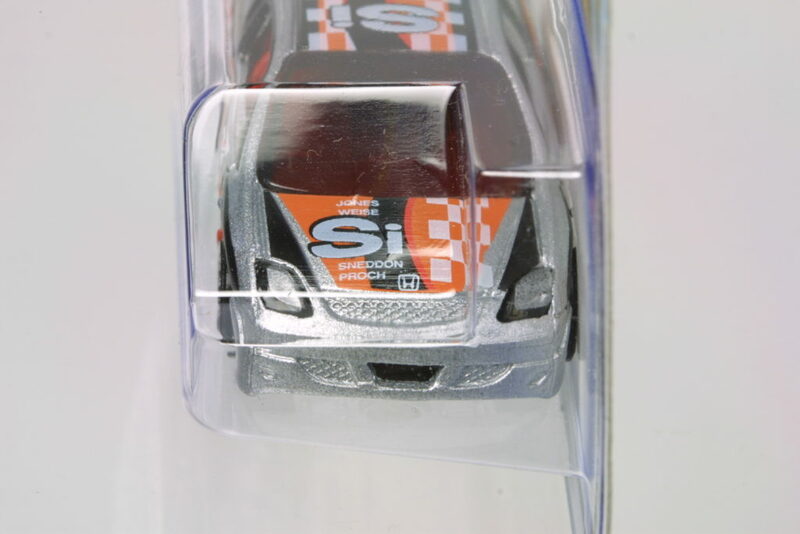 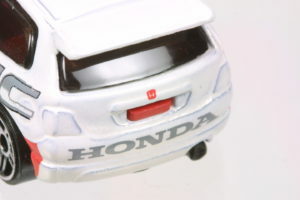 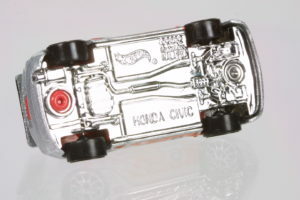 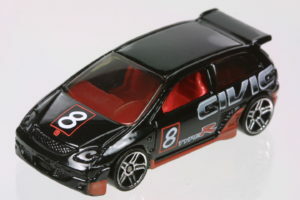 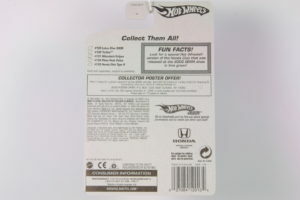 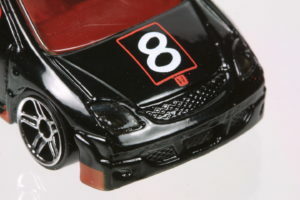 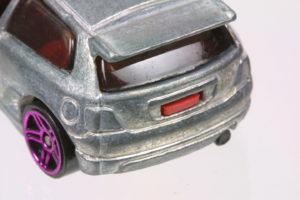 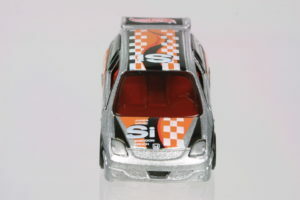 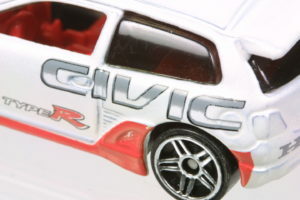 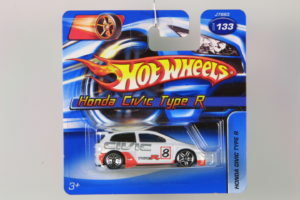 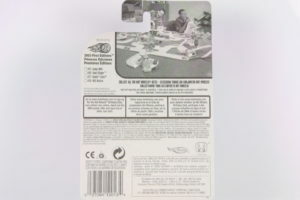 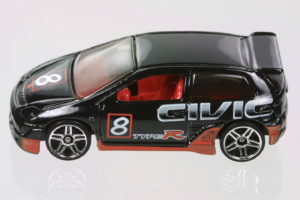 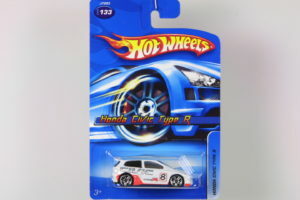 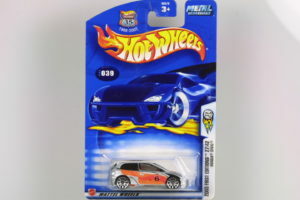 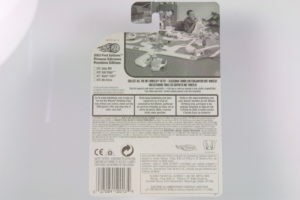 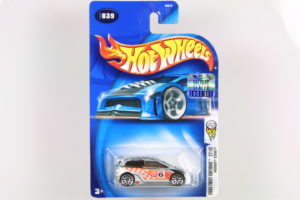 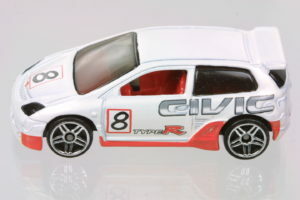 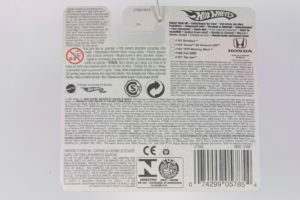 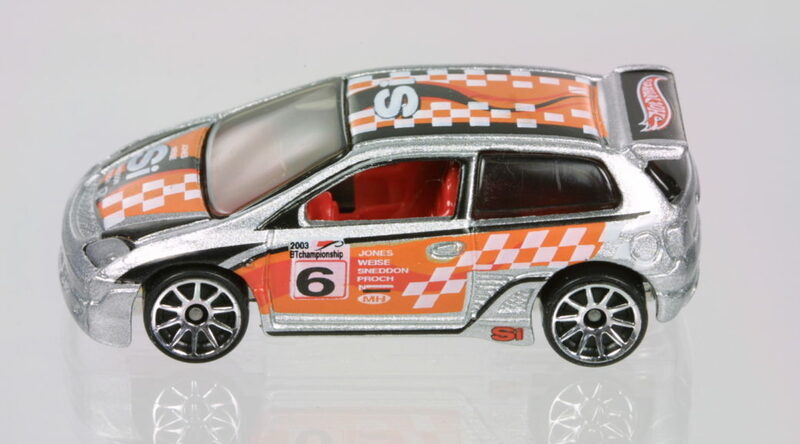 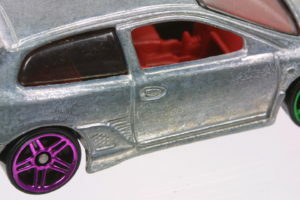 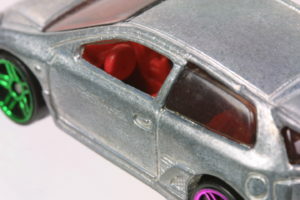 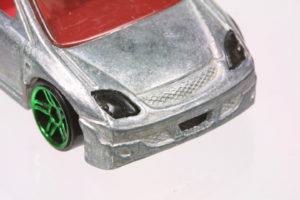 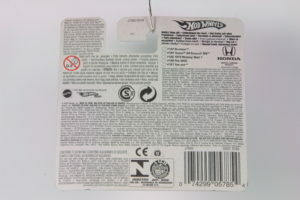 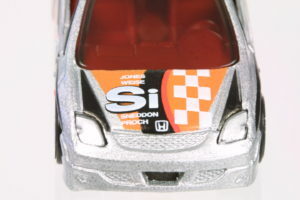 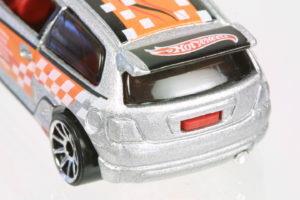 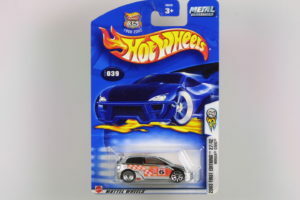 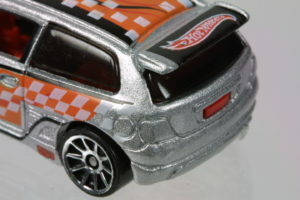 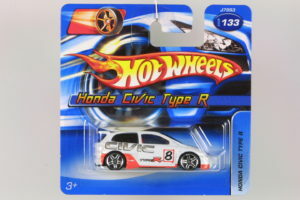 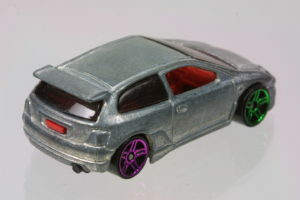 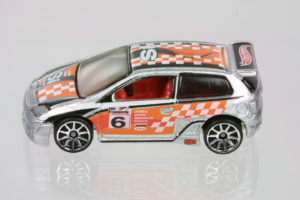 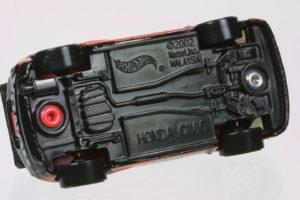 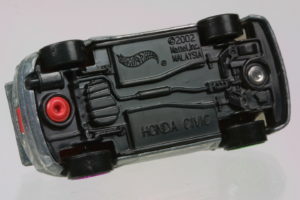 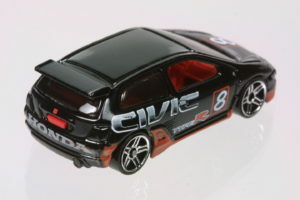 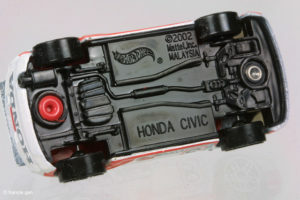 The 2002 Civic Hatchback was release as a Civic Type R by Hot Wheels worldwide even though the US market never had the Type R. Hot Wheels was quick to introduce the 2003 Civic Si Hatchback. 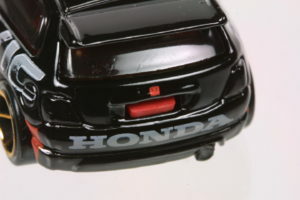 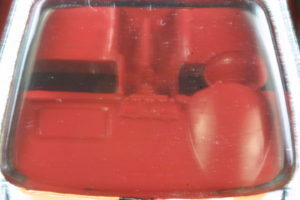 Variations were common due to the inaccurate tampoeing of the headlights – resulting in black borders around the lights. 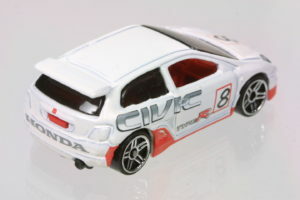 In white with a black base and red interior sporting chrome CS5S wheels.